Child Nutrition Program leaders in Louisiana put a spin on a classic jambalaya recipe! 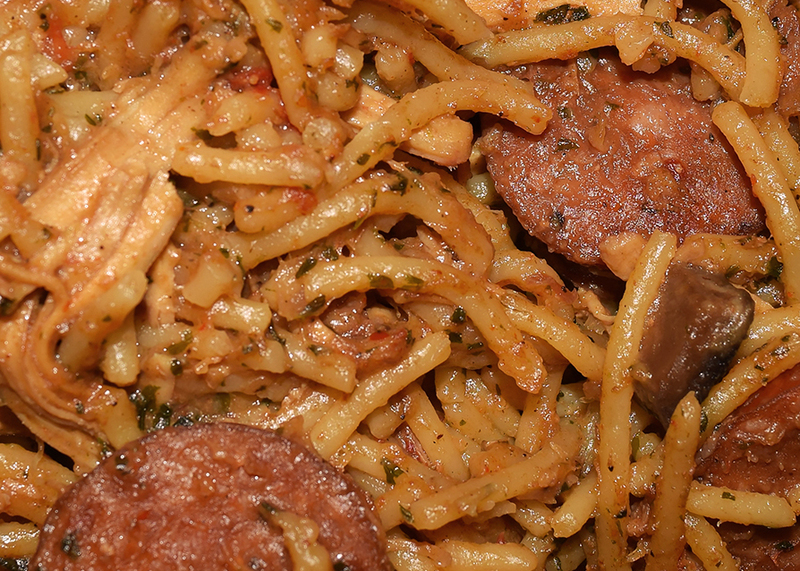 It’s not your ordinary jambalaya with rice; instead they use pasta, making it Pastalaya - Child Nutrition Program approved! Robin Hollingsworth, St. Tammany Parish Public Schools Child Nutrition Program Field Manager got the idea from a simple boxed pastalaya mix and figured that the students would like it. She was right. Chicken, turkey or pork is used along with chicken/pork sausage for two meat equivalents and ½ cup of cooked whole grain pasta for a 1 ounce grain equivalent. Capitol City Produce supplies Louisiana’s beloved “trinity” (fresh onions, celery, and green bell peppers) for this dish. This recipe also includes a tablespoon of Avery Island’s Tabasco Sauce for extra flavor. It is served year-round to middle schools and high schools. Kids enjoy the dish with green beans, raw carrots, and tasty garlic bread. For more information about whole grains, explore the USDA Whole Grain Resource for the National School Lunch and School Breakfast Programs!